Birds are really interesting animals which we see almost always. Some are large and some are small but you just can’t take it away from them, they’re a wonder to behold, especially when they’re brilliantly coloured. 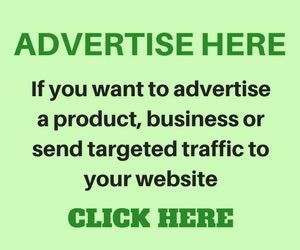 In this list, Nigerian Infopedia takes a look at the top 10 most beautiful birds in the world, you’re sure going to be marvelled at the brilliant colours you’ll see. 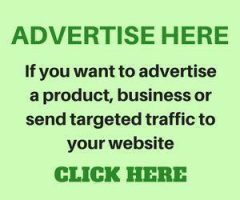 Hop in and take a ride with us on this journey. Botanical name Ara chloroptera. 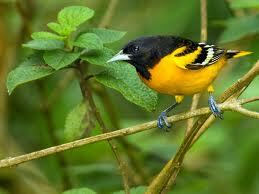 This beautiful bird is found in green lands and forests. 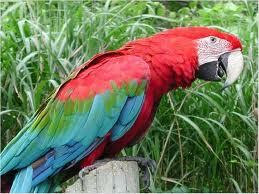 The beautiful parrot is winged well and it has beautiful yellow-bared eyes which helps to make it more beautiful. 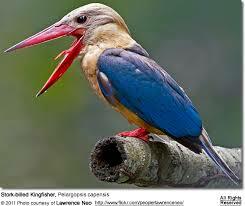 The beautiful bird is a South Indian bird, its botanical name is Pelargopsis capensis. The Stork-billed king fisher is mainly found in tropical lands and in forests of South Asia, chiefly India and Sri Lanka. This beautiful bird is enough is colourful enough to attract tourists. The Peafowl, most commonly known with two of its common names, Peacock and Pavo is a large beautifully coloured bird of the pheasant family. Its colours are really cool and catchy. 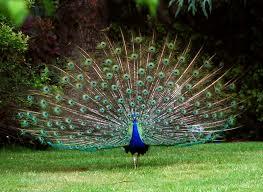 The peafowl lives in shady and dark areas. Zoo owners try as much as possible to adapt it to the zoo by providing it with the type of habitat it is used to before captivity. Botanical name, Passerina ciris. 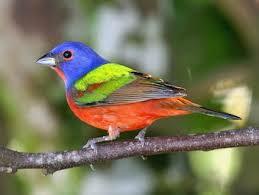 The painted bunting is a male bird which originates from North America. It is also seen in the forests and gardens of South Africa. Its beautiful colours make it a really spectacular creature. 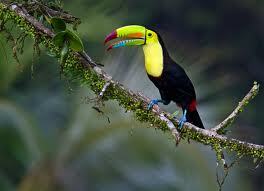 Botanical name, Ramphastos sulfuratus, the Keel-billed Toucans originates from Belize. This comes in plenty of colorful bills and is said to be a fearless bird. It can easily survive in storms and thunders and remain in its nest for days and months when the weather is unfavorable. 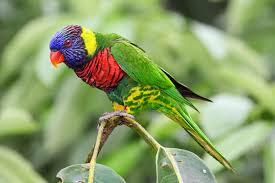 The rainbow lorikeet, Botanical name, Trichoglossus haematodus, is found in America, Australia and Austria. Its colorful body and charming eyes are enough to keep us intact with its beauty. The tourists love to save its beauty in their camera memories. Icterus galbula is a former bird of WestIslands and Finland. It is small in size and weighs about 35 grams. Its bright and sharp colors make it a beautiful and charming bird. Flamingo is really beautiful and admirable. Its botanical name is Phoenicopteridae and it is present both in Southern and Western Hemispheres. 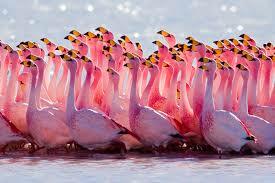 The flamingo has this tendency to usually stand on one leg for several hours. 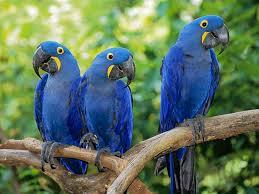 Anodorhynchus hyacinthinus is the botanical name of the Hyacinth Macaw. This bird is mostly found in America and some parts of Africa. Also some of its species have been discovered in New Zealand. It’s beauty rarely goes unnoticed. 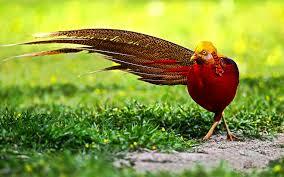 The golden pheasant, scientifically known as Chrysolophus pictus is an Asian bird and is one of the most beautiful birds in this list of top 10 most finest birds in the world. It is brilliantly colored and is found in forests and on mountains of Western China. Wow!! They are so beautiful. God really created beautiful things.